Come see our brand new showroom! Welcome to the woodworking branch of Florida Home Decor. Our mission statement is to bring Tampa Bay the highest quality custom work in order to one day become the most trusted and prefered company for all home remodeling needs. From custom made kitchen cabinets and closets to one of a kind wine cellars and entertainment centers, our woodworking branch specializes in all. We believe that customer satisfaction is the key to a successful business. 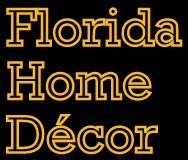 Quality home improvement is the name of the game here at Florida Home Decor. If you want excellent home improvement assistance from a reputable business that's expanding each and every single day, we're right here and available. We're a fantastic option for people who are interested in the production of top-tier millwork, furniture and architectural casework. If you've been dreaming about gorgeous customized wooden furniture for your living room, for example, our company can make all of your dreams easily come true.